I have super dry skin and in the summer I have to keep it hydrated. 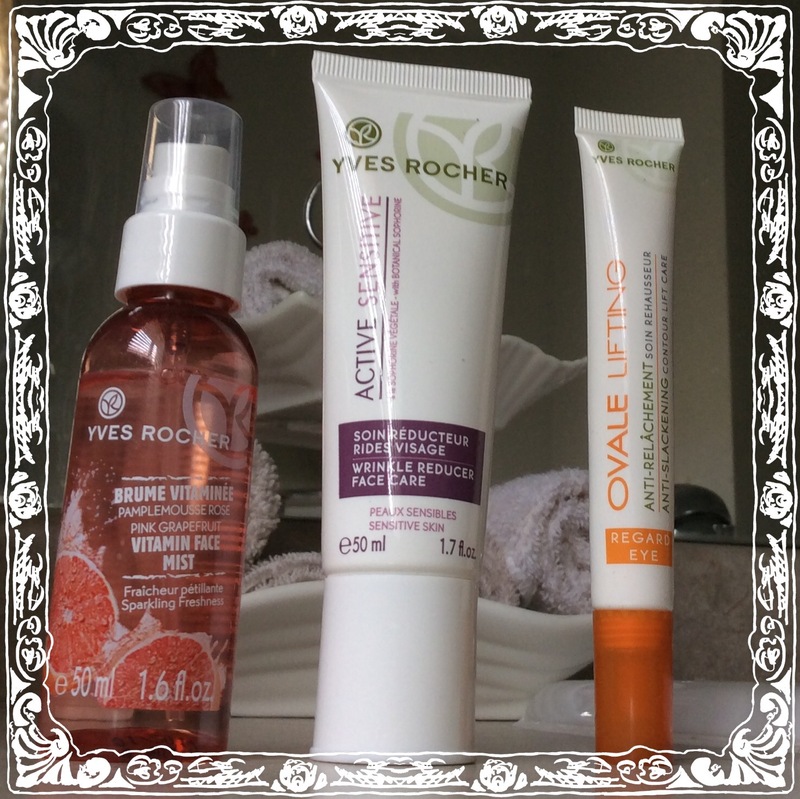 My three skin care faves are all from Yves Rocher. Ever since I started using face creams I’ve used Yves Rocher and sometimes I feel like it’s an underrated brand but the formulations of all the products are of fantastic quality. Their items are also very reasonably priced (especially if you order online or via the catalogue because they always have sales). They don’t test on animals and they use lots of natural ingredients. All the products, especially in their skin care lines, are formulated and tested by dermatologists. Right after I wash my face I like to spray this in the morning. I feel that it helps to restore some moisture back onto my face. It has a very strong grapefruit scent that may throw some people off but I really like it, the fresh citrus smell really helps wake me up. Also, the mist is not as fine in this as with other mists, it’s more a spray consistancy but I usually work this into my skin anyways so I don’t mind. 2. 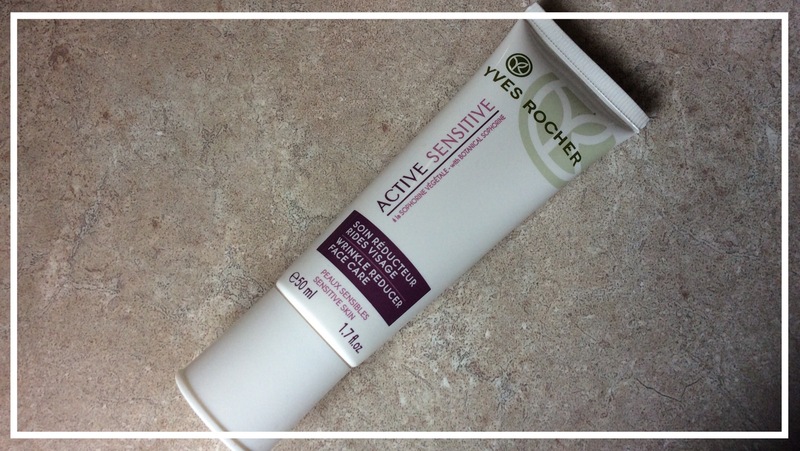 Active Sensitive Wrinkle Reducer Face Care I use a lot of different face creams, but this one is my hands down fave. I don’t suffer from very sensitive skin but this guy is very gentle. It claims to reduce hypersensitivity and sensations of over heating, great things to have when dealing with the the hot summer sun. It also has no smell and is free of ingredients that tend to irritate sensitive skin. It’s designed to help reduce the first signs of wrinkles and I feel like it does just that on my face. It has a very light consistancy, however, use too much and it can feel greasy (a pea size is really all I need). 3. 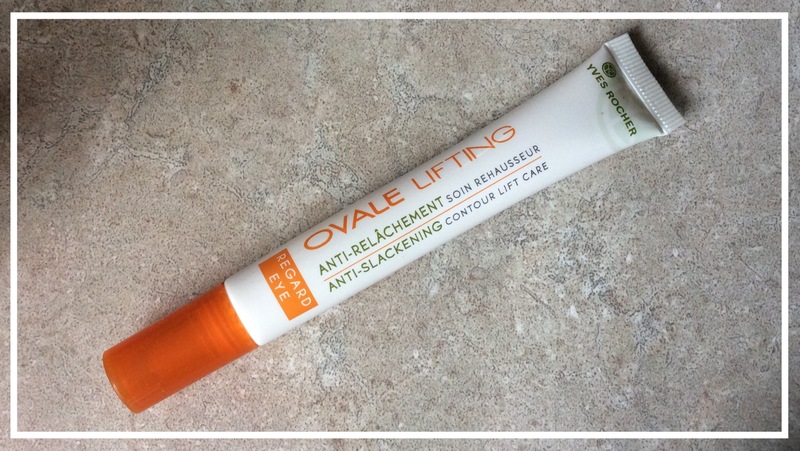 Ovale Lifting Anti-Slackening Contour Lift Care This is a really great eye cream. Sometimes I’ll wear this on it’s own just to give me a quick pick me up. I use this in the areas that are prone to deeper wrinkles (eyes, laugh line and forehead) to help prevent them from appearing too soon on my face. I really like the soft plastic applicator because it helps to massage the product directly onto my skin. I’ve been caring for my face from my early twenties. This is partly due to the idea that dry skin tends to wrinkle sooner and also because I’ve had access to Yves Rocher products because my mom loves their stuff. Have you tried any of their skin care items? What are your thoughts? What are your skin faves? I haven’t tried their micellar water, but I will for sure because I have bioderma now and I’m trying to finish it. I totally agree, great brand, great prices. I’m super in love with their body creams. 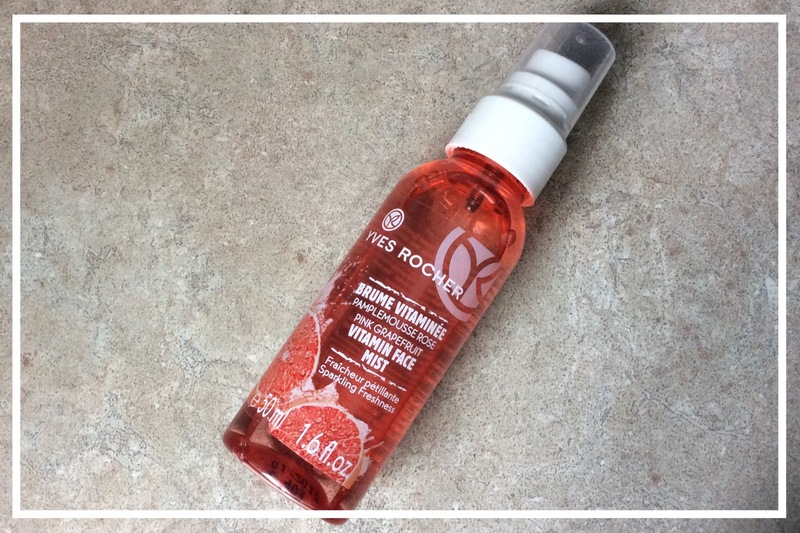 Give their skincare line a go, I’m sure you’d love it! Haha! Ya rite! I said no more makeup shopping and now I’m looking for shoes haha!